In Fine/Sock we have snorkel, bumble bee, lipstick, and lizard. 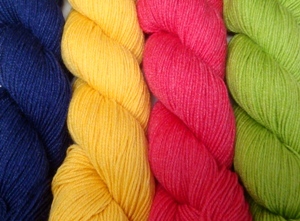 Jelly bean and turtle are cute names for the new colours of Sweater. 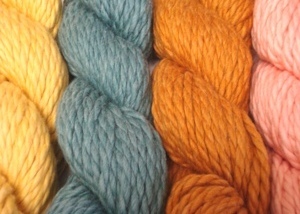 And for Outer, we have corn silk, bayou, cedar, and sunkissed. Amazing and vibrant colours as always – Spud and Chloe never disappoint! Come in and take a look for yourself. 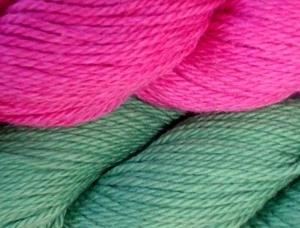 Be sure to check back for new Spud and Chloe patterns in a few days, and for some Blue Sky Alpaca’s updates! This entry was posted on Friday, January 1st, 2010 at 2:47 pm	and is filed under Uncategorized. You can follow any responses to this entry through the RSS 2.0 feed. Both comments and pings are currently closed.